Infused with the sweet nectar of Texas Wildflower Honey, this sugar scrub is a lovely treat for your skin. Exfoliate your skin to reveal smoother, softer skin, kissed by the honeybees. 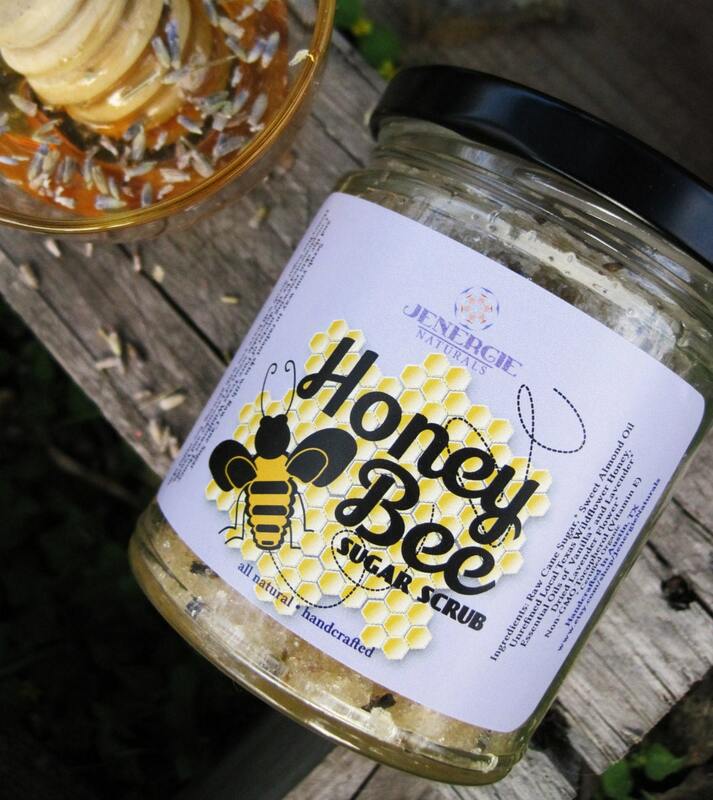 Raw cane sugar and sweet almond oil scented with organic lavender and vanilla make up this delicious scrub that smells lovely and feels even lovelier on your skin. Honey is known as a natural moisturizer that will leave you glowing.